Honors Biochemistry students at The Ethel Walker School in Simsbury are getting their hands dirty as they confront one of the top global health threats — the diminishing supply of effective antibiotics. They’re one of only a handful of high schools in the country selected to take part in the initiative, and their discoveries will be added to a national database. This year’s class of fourteen girls has joined the Tiny Earth network, an innovative program that has students isolate bacteria from soil in their local environments that could lead to novel antibiotics. The Tiny Earth program also encourages students to pursue careers in scientific research. “There is a growing economic need for more STEM (science, technology, engineering, and math) graduates. Yet, the number of students pursuing STEM degrees has been decreasing, especially among women and minorities.” said Dr. Julia Sheldon, dean of academics at Walker’s and co-instructor of the class with Dr. Suzanne Piela. Walker’s honors biochemistry course runs in partnership with Tiny Earth, which was founded at Yale in 2012 and now operates throughout the U.S. and in 15 countries. Walker’s was awarded a $9,300 grant from The VWR Foundation and received additional private funding to support the start-up and ongoing fees of the five-year program that started in Fall 2016. The students collect soil samples on their school’s campus. The Tiny Earth Network includes nine schools in Connecticut, including three that are working on the research. Dr. Sheldon, who earned a Ph.D. in bioorganic chemistry at Yale University, is co-teaching the course with Dr. Piela, who earned her D.V.M. at the University of Minnesota. The educators explain that the classroom is flipped, so that the laboratory research is center stage while other activities are used to support the research process. The honors level course for students in junior and senior classes allows the girls to conduct original hands-on field and lab research in the hunt for new antibiotics. Through a series of student-driven experiments, students collect soil samples, identify and isolate diverse bacteria, test their bacteria against clinically-relevant microorganisms, and characterize those showing inhibitory activity. This is particularly relevant since over two thirds of antibiotics originate from soil bacteria or fungi. "Being in the Honors Biochem class has been an extremely enriching experience,” said student participant Brianna Vega '20, of East Windsor. “I have been able to explore my love for science while working on a worldwide initiative to fight antibiotic resistance. Doing primary research at my school has allowed me to see the role a high school student, like me, can play in worldwide research." According to the World Health Organization (WHO), pathogenic bacteria resistant to current antibiotics are potentially the most important medical challenge facing humans in the 21st century. It has been reported that if no significant action is taken by 2050, these bacteria will kill more people than cancer and diabetes combined and will result in 300 million premature deaths. Even as pharmaceutical companies have shifted away from developing new antibiotics, existing antibiotics are losing efficacy due to widespread antibiotic resistance, according to published reports. A new group of students take the class at Walker’s each year, as the class is for one academic year. Each student conducts her own research and students are required to submit an official scientific poster (which is typically done at the undergrad/grad level) on their entire research at the end of the year, school officials said. Walker's Honors Biochemistry students were recently awarded the top high school prize for the 3rd Annual Small World Initiative (SWI) Do Something About Antibiotics Challenge™, which challenges high school students to do something about superbugs and the growing global antibiotic crisis. Hannah Iwaszkiewicz, Brigid King, and Lydia Rifkind won for their creative stop motion video, "Antibiotic Resistance with Monty the Monster," which educates the viewer on the proper use of antibiotics. The High School Award was presented by the National Institutes of Health (NIH), and Walker's award-winning entry was noted for its strength in "leveraging each member's strengths and [for its] original art, script, and voice over." The three students will have an opportunity to interact with scientists from NIH and participate in informational interviews and a special career event. 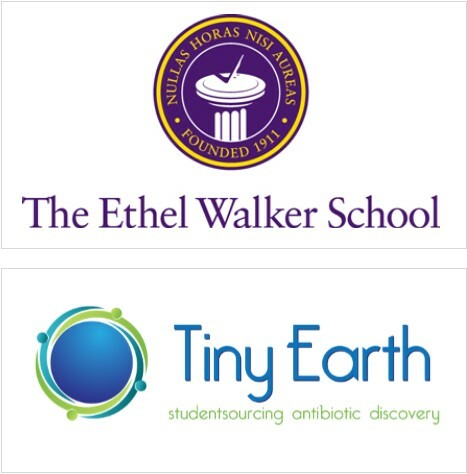 The Ethel Walker School is an independent, college preparatory, boarding and day school for girls in grades six through 12 plus a postgraduate year in Simsbury.